Make your client booking easier and STOP your NO-shows! We are introducing you to an innovative and simple system called Schedule2Mobile, which will definitely make your client booking easier! 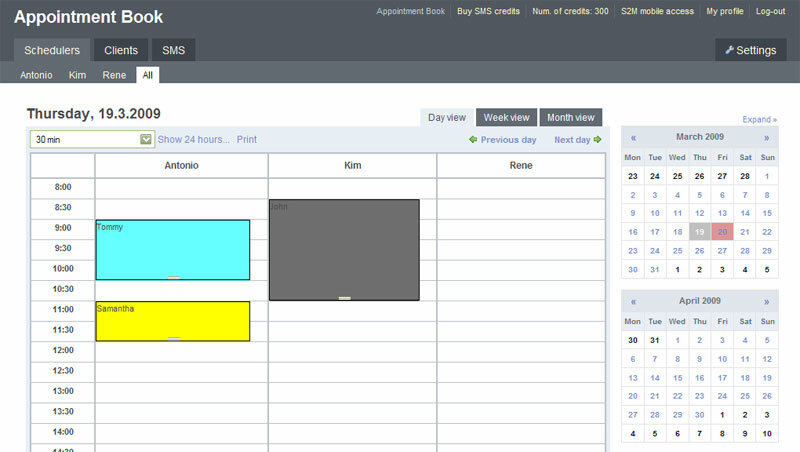 Entire appointment book management (schedule appointements, "drag and drop", rebook or recall appointments). 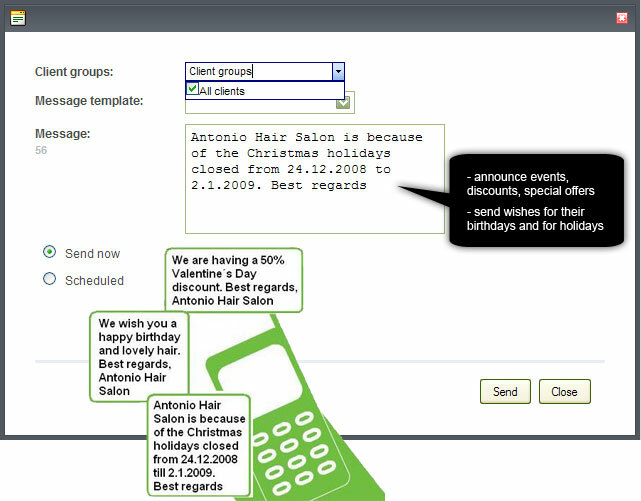 To reduce client late arrivals and no-shows, you can send automated text reminders to your clients. All salons within the group can be seen instantly. Gather all salon data in real time. 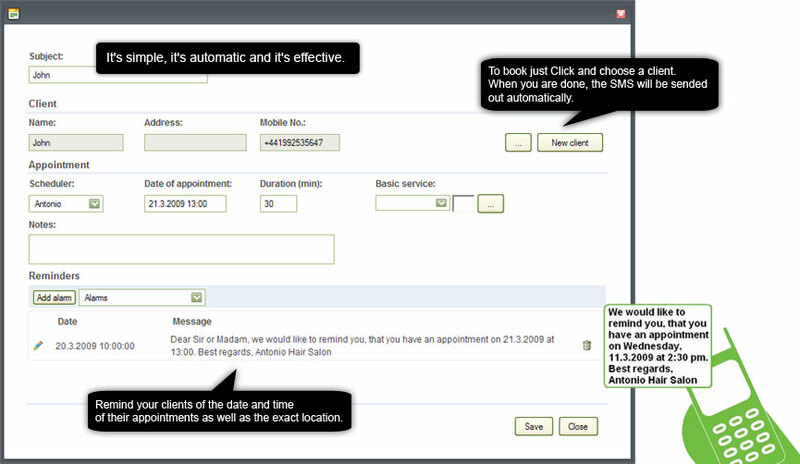 Allow your clients to book an appointment online from their home or work. Thay can also see opening hours and staff availability. 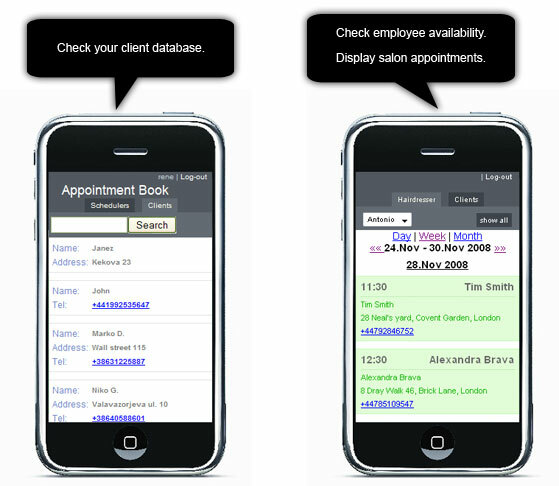 The Software allows you to view your upcoming appointments on your mobile phone anywhere and at any time (ideal for all salon owners, mobile stylists & therapists). The most effective way to run your business. 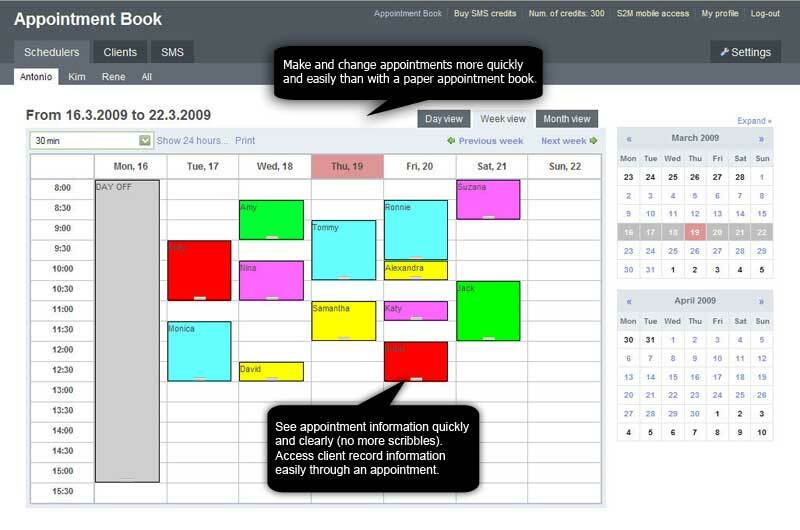 Schedule2Mobile is an online appointment book. Use it to increase your client visit frequency, reduce no-shows, save time and most importantly, make more money. For an effective client booking it is necessary to remind your clients on upcoming future appointments. The efficient way to do this is an automated SMS text service that your clients receive on their mobile phone. It’s easy to use, has a clean look and is web-based. You don’t need to download, install, or configure anything. All you need is a web browser (Internet Explorer, Mozilla Firefox, etc.) and an internet connection. It’s as simple as visiting a web page. Your Schedule2Mobile appointments are password protected. You decide which employee accesses which area of the software. Allow your staff members to check their schedule whenever they need to and under their own password.